The October Great Impressions cards are all about Christmas! 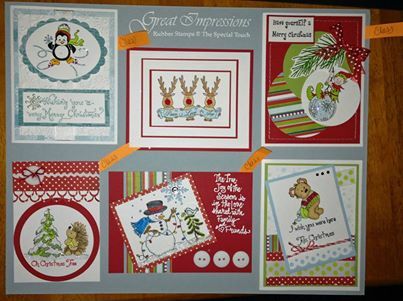 Join Deb for some creative fun making four cards from the monthly board program. The stamp of the month is included in the class fee.